Happy New Year! Make sure this is your family’s best year ever. Learn to balance work and family so everyone benefits, including you! January features: Pre-K/Private School Guide. Welcome, baby! Discover the best local care for pregnant moms and newborns. Help your son or daughter discover a healthier lifestyle. Now’s the time to sign your child up for a sports or fitness class. We are what we eat and your kids are only as healthy as the food you feed them. Learn how to feed your family well. Home is where the heart is. Discover ways to make your home and garden more family-friendly. Plus tips for decorating and outdoor entertaining. May features: Home & Family, Family Resource Guide, Summer Camps. The outdoors is calling! Discover the therapeutic effects of nature as you hike, kayak, ride a horse, or climb a tree. Pick up our June issue for suggestions to get your kids away from their screens and out in the world with our Adventure Guide. June features: Outdoors, Adventure Guide, Summer Camps. Don’t delay. Ensure you and your family make the most of summer fun before it’s too late. Check out our Family Fun Guide to cool places to chill during this steamy month! Plus, we’re kicking off our Pre-K/Private School Guide to help you choose the right school for your child. Believe it or not, it’s time to think about heading back to school! Find out how your children can prepare for a new school year and learn about exciting after-school programs. August features: Back to School, Pre-K/Private School Guide, After-School Guide. Kids need art and they also need tech know-how. Learn about local opportunities for kid-friendly art and technology programs that allow your child to flourish—and prepare him or her for a successful future. Flu season is here. Keep your family healthy and find specialists for all your child’s needs in this issue. Plus plan some family outings this fall with our Fall Fun Guide. Exceptional children have special needs, and Tidewater Family is happy to help parents find businesses and services to ensure their children are happy, healthy, and safe. November features: Exceptional Kids, Exceptional Kids Guide, Holiday Fun Guide. ’Tis the season. School may be out for the holidays, but count on us to keep you up-to-date on all your educational needs. December features: Education, Pre-K/Private School Guide, Winter Fun Guide. Call 757-204-4688 to reserve space. Deadline for advertisement submission is the 10th of each month. 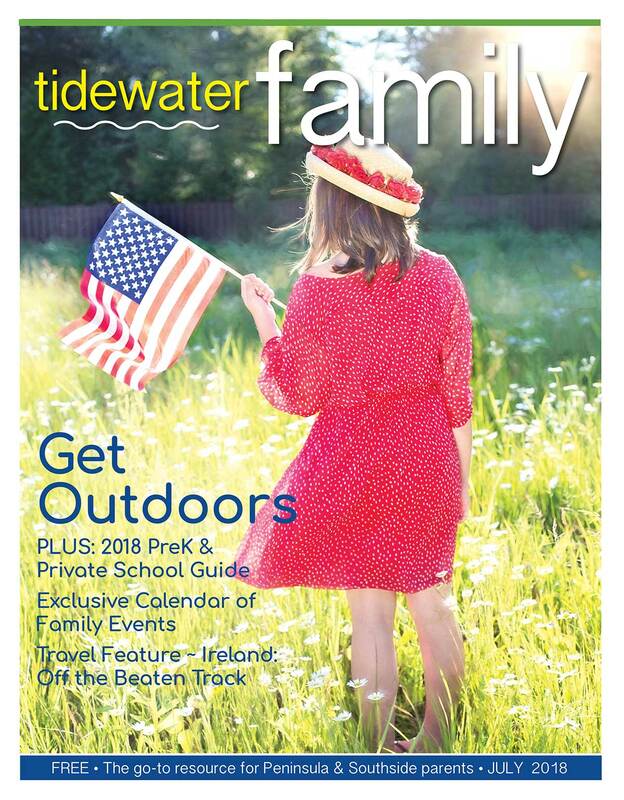 Tidewater Family's editorial calendar is also available for download.